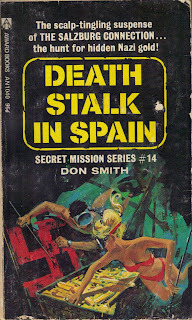 Secret Mission #14: “Death Stalk In Spain” by Don Smith. 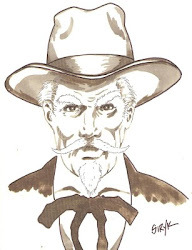 Phil Sherman, now a private detective, with his Paris machine equipment company as a cover, is attached to the CIA. In this latest case, he’s working for a Navy captain in Intelligence. A lieutenant pilot of a new submersible has killed his partner and disappeared with the little submarine. 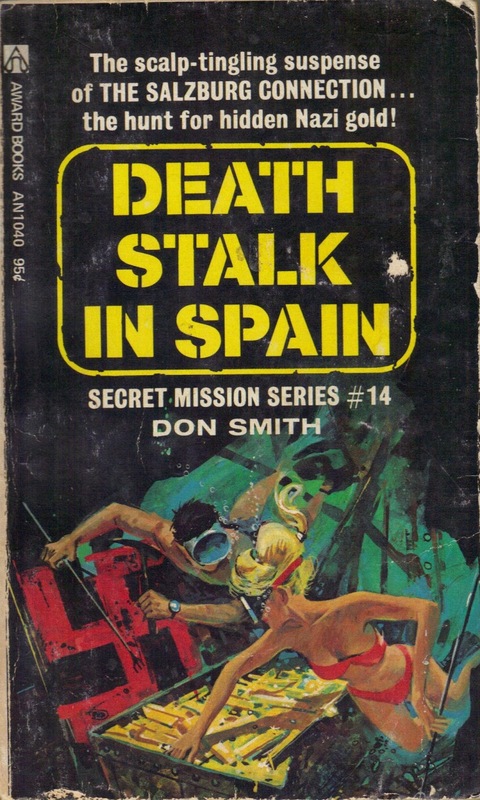 In Spain he discovers that the lieutenant may have discovered the sunken ship with ten tons of gold the Nazis were responsible for. It’s what the lieutenant wants, and standing between him and the NAZI commander that sunk the ship is a beautiful girl who may be playing everyone for a fool, including Sherman. This was another pretty good yarn, though the author has got to run out of NAZIs soon. Lots of fun. 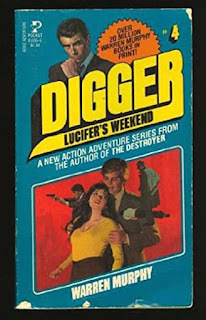 Digger #4: “Lucifer’s Weekend” by Warren Murphy. 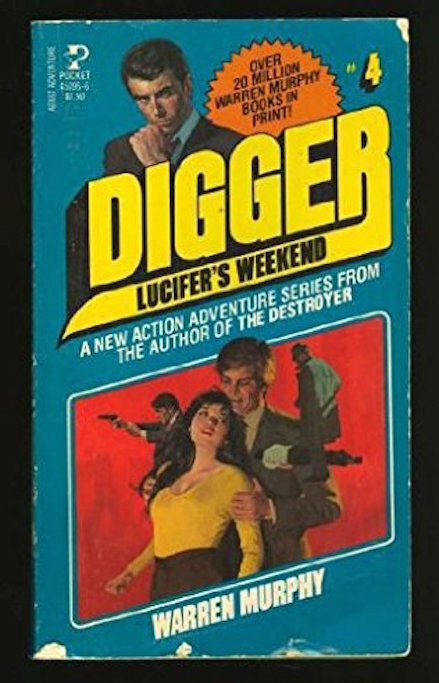 Digger, Julian Burroughs, is sent to Belton, PA to try to talk the widow, Louis Giillette, in accepting the accidental death clause of one million dollars in her husbands death, but she refuses, saying it would make her genius husband look like an idiot. She only wants the 500 thousand dollars, and forget the accident. He had been electrocuted while attempting to change a fuse in a breaker box, when there are no fuses in a breaker box, and he’s an electrical genius and would have known that. She and her daughter are the only ones in town who think he was murdered. Now Digger does also, and he’s willing to investigate. 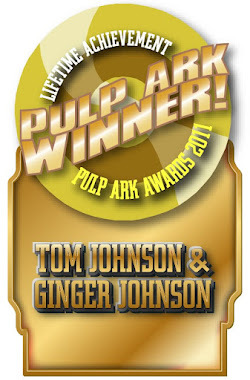 The usual tomfoolery and craziness, but a fun story, nonetheless.